Add 10-15 drops of an essential oil to an ounce of a cooking oil and dispense with an eyedropper, into warm (not hot) water or tea. If the liquid is too hot, the volatile components of the oil will disperse and much of the benefit, especially that which relieves "wind," will be lost. This section will present simple ideas that can be safely used by interested persons to promote health. AstroPharm has been launched with a description of a line of therapeutic grade essential oils. Most essential oils are used by the perfumery or aromatherapy industries, and they are not pure enough to use internally. However, increasingly, we are learning that microdoses of absolutely pure essential oils that are distilled from organically grown plants have amazing effects. Sacred Medicine Sanctuary offers high quality, unadulterated essential oils that are suitable for aromatherapy, culinary, and internal use in extremely small dosages, such as a single drop of oil every day or every few days. One of the most effective internal uses of such oils is to neutralize "toxic air" noxious gases that arise as the result of poor digestion and elimination. The gases that result from fermentation in the stomach and putrefaction in the lower intestine are the source of a number of health problems ranging from embarrassing noises, bad breath, body odor, and slow peristalsis to restlessness and insomnia to serious nervous disorders characterized by spasms, pain, and even paralysis. Ecologically sound, 100% pure, full-spectrum essential oils—oils that are steam distilled in the traditional manner rather than produced by industrial methods—can be effective in neutralizing both the odor and the gases causing the odor; but truly, only a drop or two is needed for these results. 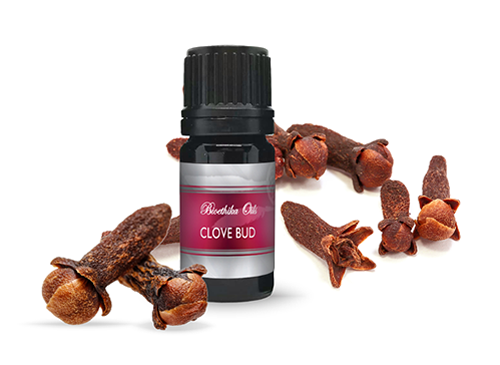 For instance, with the epidemic concern for parasites caused by the popularity of Hulda Clark's books, people with abdominal and intestinal distress might want to consider clove oil. An easy and effective way to ingest this is by filling a capsule with another oil, preferably a high quality culinary oil, and adding one or two drops, not more, to the cooking oil. A single capsule, up to six capsules per day maximum, is usually sufficient to relieve a host of digestive complaints from bloating and gas to distention, abdominal cramping, and sluggish peristalsis. People are advised to start with one drop and only to increase the dosage if the desired results are not obtained with this small amount of oil. In most cases, there will be an immediate improvement in digestive and eliminative functions. Occasional use is likely to relieve many chronic complaints associated with low fire, deranged air, and general stagnation, but excessive use will destroy friendly bacteria and is therefore not recommended. Be imaginative, try cinnamon or lemon or peppermint as a carminative and for halitosis; tea tree or wild oregano oil for immune support. Though it cannot probably be proven without a shadow of doubt, there is some possibility that the prions linked to mad cow disease can remain viable in various gelatins, including the capsules used by many companies to encapsulate their powders. 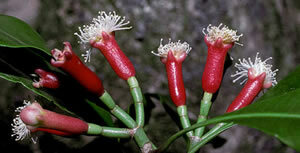 I therefore prefer to cap my own herbs, and I use capsules that are purely of vegetarian origin. Sacred Medicine Sanctuary sells these as well as a simple device for holding the capsules upright to make filling them easier. Rather safe than sorry! Another solution is to add 10-15 drops of an essential oil to an ounce of a cooking oil and dispense with an eyedropper, into warm (not hot) water or tea. If the liquid is too hot, the volatile components of the oil will disperse and much of the benefit, especially that which relieves "wind," will be lost. Oils presently constitute anywhere from 15-30% of the average diet of most persons. Except for certain olive oils, hardly any readily available oil is suitable for consumption. All oils are sensitive to heat, light, and air. In the pressing process itself, most oil is overheated. Various chemicals are added to mask the discoloration and odor that occur, but then the oils are put into glass bottles where they continue to deteriorate. In my opinion, if someone wanted to make one simple dietary improvement requiring almost no effort, it would be to switch to a properly pressed and bottled oil. At present, such oils are provided by only a handful of producers: Barleans and Omega Nutrition.